Are you a Blogger? If Not then this Article is not for you but if you are a Blogger then you are at right place cause in this Article I’ll be sharing Best Keyword Research Tools. Blogging is a Platform where most of the Bloggers only try to Make Money. Blogging is not only a Platform of Making Money but it’s a Platform where you can Share your thoughts, Share your Experience, Share your knowledge, etc. Earlier I’ve Shared an Article On, How To Create A Free Blog & Earn Money Online [Step By Step Guide]. 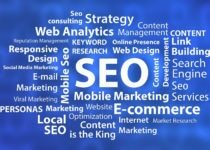 If you have created your Blog earlier then you might have got some experience about SEO. I would suggest you Migrate From Blogspot to WordPress as it has many Plugins & Customization through which you can Customize your Site according to your choice. Once you migrate, you are ready to write your first Article on WordPress. While writing your Article, you need to know some SEO Tips to Rank your Site higher on the first Page of Google. There are many tools available on the internet for keyword research but here we have provided Best Keyword Research Tool For SEO. Without SEO, Blogging is incomplete & you cannot Rank on SERP. So, it is very important to do a Keyword Research to Rank your Site. Many Companies invest thousands of dollars for Keyword Research. But don’t worry you don’t need to do that, cause here in this Article I’m going to Share 5 Best Keyword Research Tools For SEO In 2017. Google Keyword Planner is a Free tool which is used by most of the Bloggers for Keyword Research. It is free & you just need to Create Account on Google Adword to use this tool. Google Keyword Planner has many features where you can Get Average Monthly Searches, Competition, Suggest Bids, etc. It is a Great tool if you are newbie blogger. You don’t need to invest a single penny to get started. As it is free it doesn’t have all the features & has some limitations. You cannot get Exact Search for the Keyword instead you will get an Average Monthly Search & Competition for the Searched keyword will be shown in Low, Medium & High. This is a great free tool for Keyword Research, but if you need more details & competitive analysis then I would recommend you to go with other tools which I’ve provided below. Kwfinder is an easy-to-use keyword tool bringing perfect keyword ideas. If you are looking another alternative for Google Keyword Planner, then this tool will perfectly suit for you. It is a great Keyword Research Tool which gives you Keyword Suggestions, Questions based on Keyword, SEO Difficulty, etc. Kwfinder offers both Free as well as Paid plans. You can try Free trial before purchasing its Paid plan. The free trial has a limit of 3 Keyword Research per day. 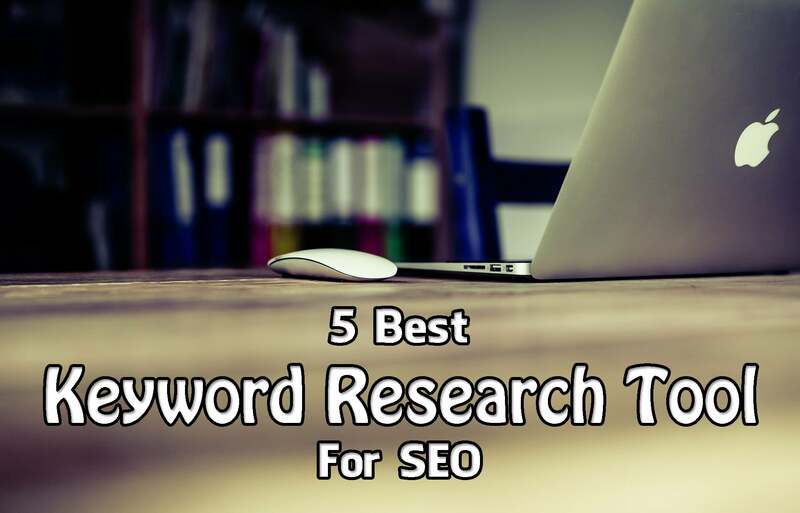 So, you can only Research for three Keywords every day. To get more Keyword Research you have to move to their Paid Plans. It is a great tool to find Long Tail Keyword. So, I would recommend you to first try their Free version & if it suits you best then more to Paid Plans. SEMRUSH is not only a Keyword Research Tool but it is All-in-one Marketing Toolkit. It is a paid tool which comes for 14 Days Free Trial Worth $150. You just need to add Keyword or add your Competitors URL & it will show you the List of Keyword that is ranking for that site which makes easier for you to get short-tail & long-tail keyword. Not only Keyword but you can also get depth details about Traffic Stats, Adsense CPC, Organic Search, & many other Reports. I would suggest you try 14 Days free trial & It is a highly recommended tool as it is not only Keyword Research Tool, it is much more than that. Ahrefs is another great tool for bloggers which is highly recommended. It is an SEO Backlink Checker & Competitor Research Tools. Ahrefs is not only a Keyword Research tool but much more than that. It is an alternative to SEMRUSH. It is also a Backlink Checker tool where you can check backlink of any site or any particular URL. Check you Competitors Backlink, Tracked Keywords, Domain Rating, URL Rating, Referring Domains, Organic keywords & much more. It also comes with a trial version & you can purchase a paid version if you want. LongTailPro is another awesome tool for Keyword Research. It is a cloud-based tool for Keyword Research & also a most popular tool. LongTailPro is a paid Keyword Research Tool which will help you to find Keywords for your Site. It also has a competition checker which will help you to choose a correct keyword. It has many features where you can check difficulty of ranking, determine metrics, calculate keyword profitability, real-time filtering and much more. So, these were the 5 Best Keyword Research Tool For SEO In 2017. I would recommend you to give a try for a Free Version of the Tool if you like then you can forward your steps to purchase a Paid Version. Hope you liked this Article on Best Keyword Research Tool For SEO. Comment below which tool you liked the most & which one you are currently using. Stay tuned with Trick Xpert for more latest Tricks & Updates. Nice list of tools Dheeraj. SEMRUSH is big time. So many heavies endorse it and it is the creme de la creme of research tools from what those data heavy, keyword types tell me. If I ever become one of those I will endorse it too LOL. Your article made my day. Valuable article which helped me a lot.Thanks for sharing the valuable information. Hello. Thank you for this post Dheeraj. This list of tools helped me a lot. Thank you. Nice article Thanks to the author. google trends also very useful for keyword research. Adding few more to your list moz.com, google trend, serps.com etc..